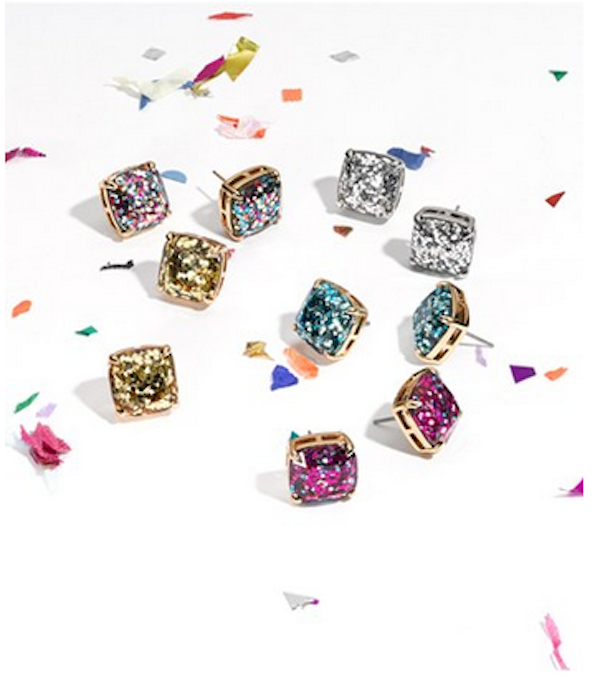 These GORGEOUS kate spade multi glitter stud earrings are back in stock Don't wait to buy these - they WILL sell out before the holidays are here! And - they released two more beautiful colors - a pink multi glitter and a turquoise. Go go go! !